Some applications require full product traceability. For the last 40 years, All Seals’ Aerospace customers have required full traceability. 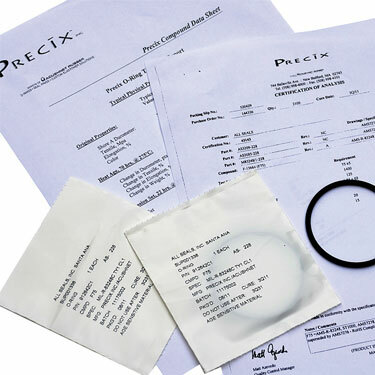 Therefore, we are experts in efficiently and accurately tracing your product all the way back to the raw material. Let All Seals work with you on your high performance applications. We have the knowledge and business systems to ensure you have a robust and cost effective solution.